This book offers an understanding of the expectations and challenges of Northeast India in the context of India's Act East policy. It critically examines how the policy is being pursued by the incumbent Bharatiya Janata Party-led central government and analyses its relevance from local perspectives. 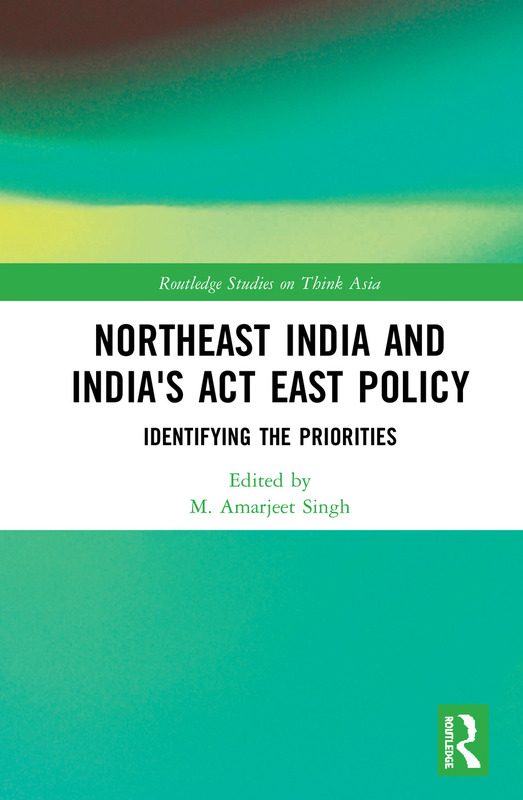 Contributors to the book provide an examination of the differences between Look East and Act East policy and explanations of the expectations of India's neighboring countries, particularly Myanmar, towards Northeast India. They ask the following questions: a) What is to be done to integrate India’s Northeast region meaningfully into the Act East policy? What is the motive of linking this policy with these states? How is this policy received by the local communities? b) What are the challenges of the Northeast region? What are their needs and priorities? How can these states showcase their potentials to Southeast Asia and East Asia? c) What is the significance of the changes from Look to Act East Policy? Has the regime change affected the continuity in the policy? What are the short- and long-term goals? d) What are the expectations of Southeast Asia and East Asia? By addressing these questions they bridge the knowledge gaps that exist in the understating of the the Northeast region of India vis-à-vis the Act East policy. The first book to combine a balanced view of India's Act East policy and Northeast India, it will be of interest to policy makers and academics in the fields of Development Studies, International Relations, Northeast India and South Asian Politics. M. Amarjeet Singh is Professor at the Centre for North East Studies and Policy Research, Jamia Millia Islamia (A Central University), India, where he teaches courses on social conflict, and society and politics of India’s Northeast. His research interest focuses on conflict studies, identity politics, and migration studies. His previous publications include the co-edited book "Identity, Contestation and Development in Northeast India" (Routledge India, 2015).